Norrötorpet attracts many people with its tranquillity and proximity to nature. 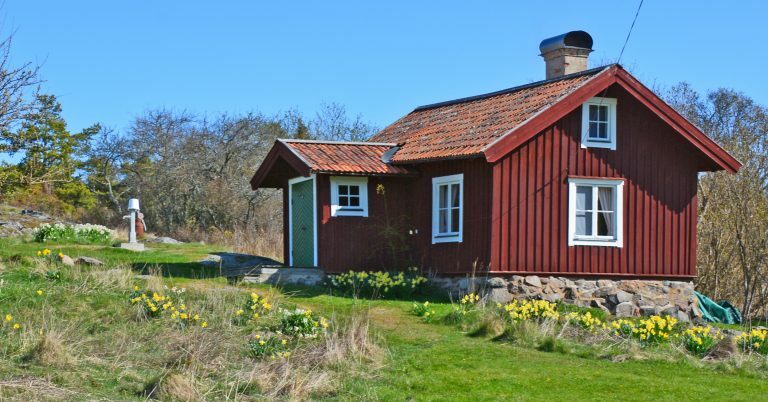 The cottage is located a slightly secluded spot on the north side of Fjärdlång. Absolute calm prevails here and Norrötorpet and its surroundings are beautiful in all weathers. 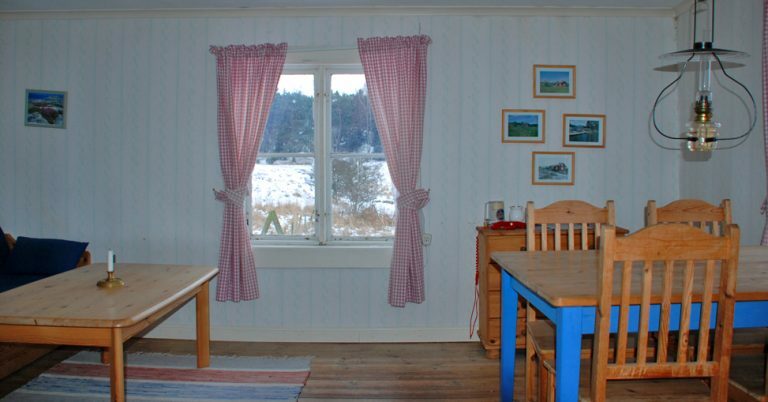 Norrötorpet has one room and a kitchen. The room has a sofa bed. The sleeping loft which is reached via stairs from the outside of the building has another five places to sleep. 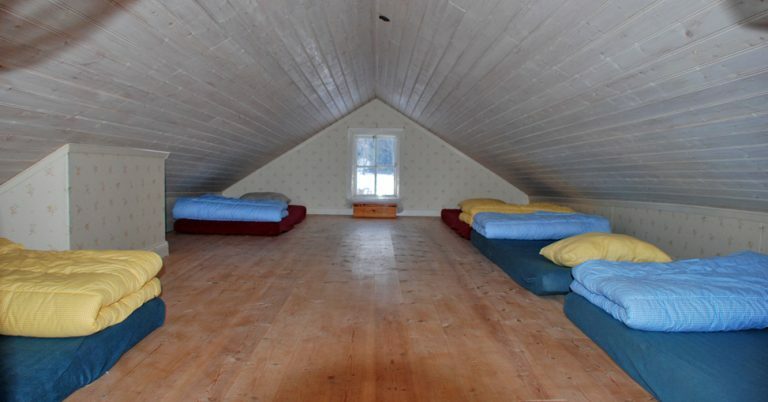 Sleeping bags are not permitted so please bring bedding. There are duvets and pillows for all beds. The kitchen is equipped with household utensils for six people. There is an LPG gas cooker with two burners, LPG gas fridge and a wood-burning stove. The house has neither electricity nor a bathroom. There is an outhouse and freshwater pump outside the house. 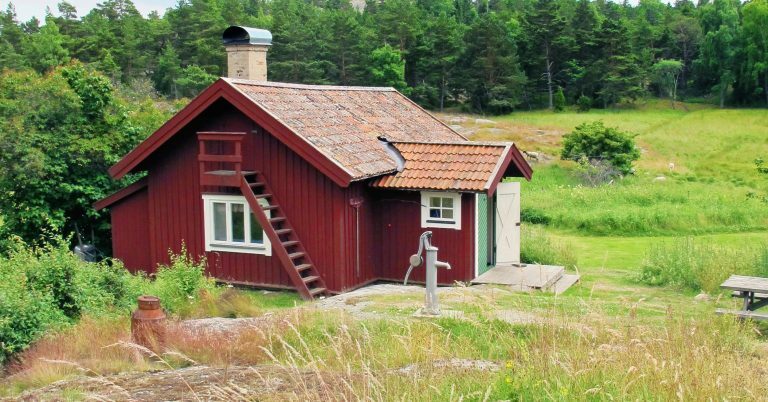 The house comes with a wood-fired sauna, roughly chopped wood is available. N.B. You may only use fresh water from the pump for the sauna. 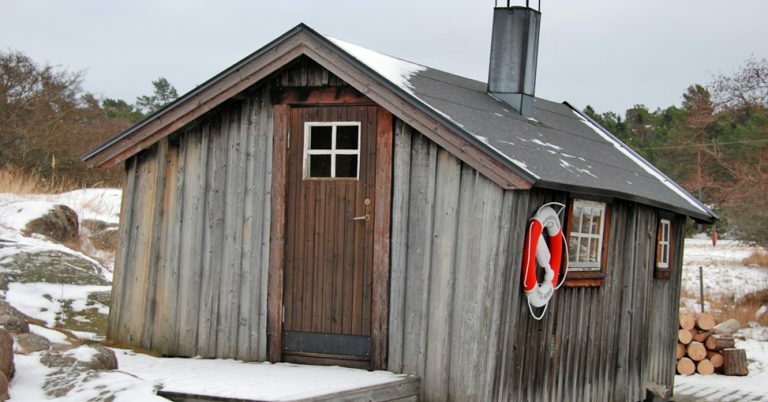 There is only a torch to light the sauna as there is no electricity. Candles or lanterns may not be used due to the risk of fire. The house comes with a rowing boat. There are life jackets. Two for 30–40 kg, one for 50–70 kg, one for 60–90 kg and one for 70–90 kg. Check-in and check-out is on Saturdays at 11:00. Fjärdlång has no shop or restaurant but during the peak season the hostel runs a kiosk with a limited selection. Everything from food to bedding must be brought with you. You need to take with you everything you want to have. There is no toilet, shower, electricity or running water. There is an outhouse and a fresh water well. Use the paths when you walk on the island. Fjärdlång is a nature reserve, consider the sensitive vegetation. During the peak season Norrötorpet is rented per week and during the off season only during weekends. Note, the weekends 20-22/9 and 27-29/9 require private boat or taxi boat. Norrötorpet is open from the beginning of May until the last weekend in September. 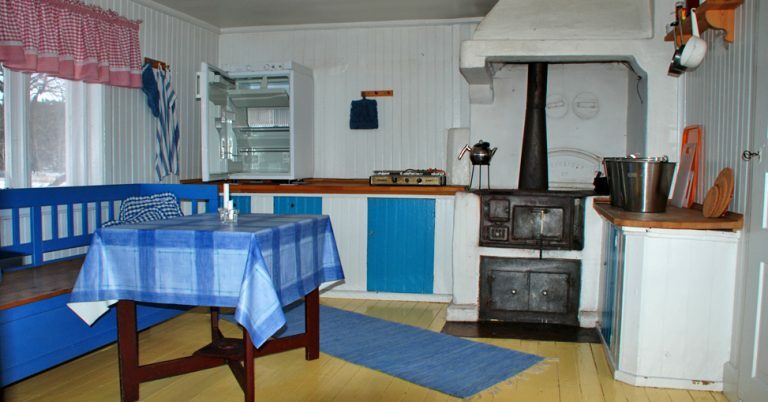 The cottage is intended for a maximum of 6 persons, regardless of age. Regular sailings from Stockholm with Waxholmsbolaget in the summer. SL bus 839 from Haninge to Dalarö hotel jetty, onward journey by archipelago boat with limited departures.